Portrait of a young girl, Miss Karen Poulsen, n.d.
A white diffused light falls on a young lady wearing a blue dress. 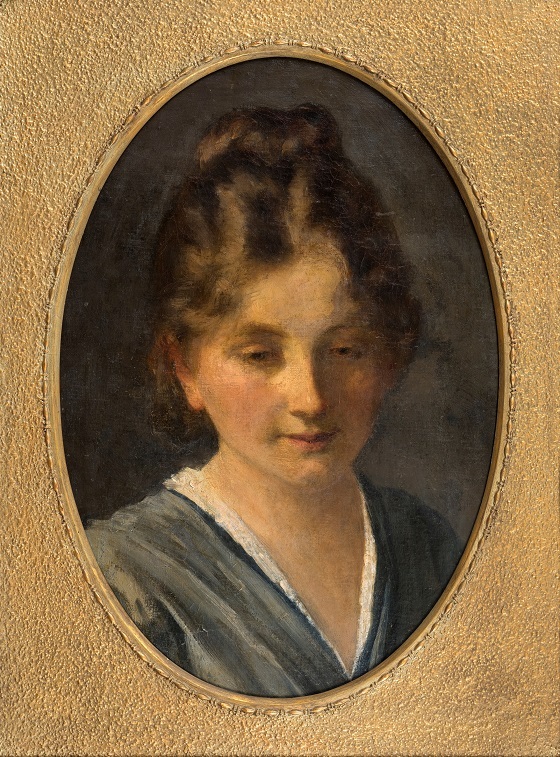 Her introspective look and the hint of a smile is an indication that the artist has portrayed her in an off-guard moment where she was lost in her own thoughts. The modest format lends an intimate feel to the head and shoulders portrait, helped also by the warm expression on the young woman’s face. This empathic depiction of the young Karen Poulsen is marked by a faded contour and light brush strokes which captured the lovely young girl in the moment.